For emergency cases, we are ready to visit your pet in your place. To receive more description, please call the clinic. 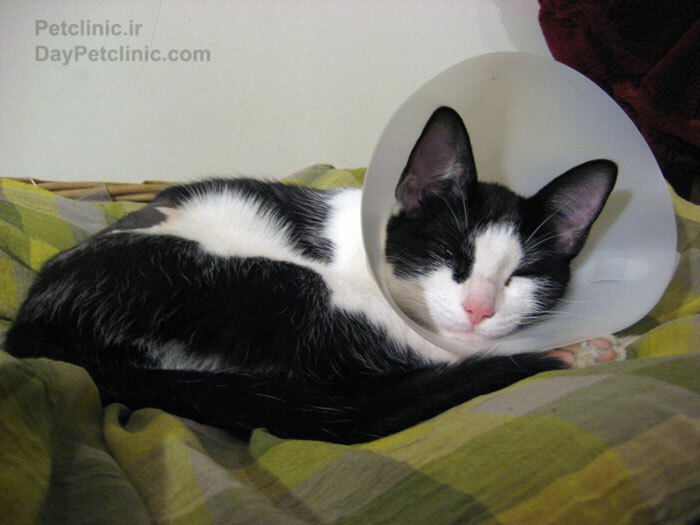 Spaying your cat is an important part of basic cat health care. Spaying at a young age prevents mammary cancer and spaying at any age prevents unwanted kittens, noisy heat cycles, and possibly even urine marking in the house. The following is a list of frequently asked questions gleaned from years of veterinary practice as well as from answering questions online. We have found that even though the cat spay is a routine and a commonly performed procedure, many pet owners still have questions. Hopefully, this FAQ will be helpful. Feline reproductive tract after removal. Note the uterus as two horns forming a Y shape. 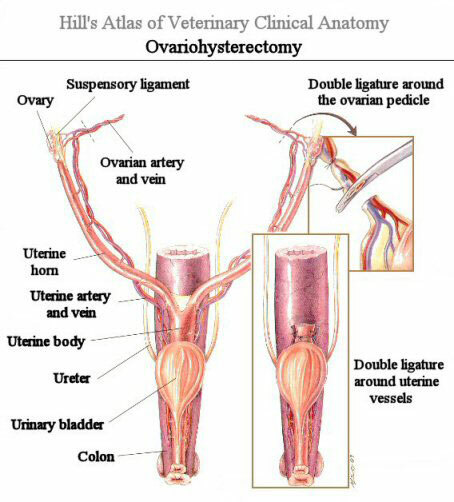 The ovaries are located at the end of the arms of the Y. The cervix is at the base of the Y. Some veterinarians always place skin stitches. 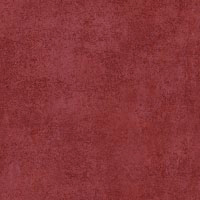 Some veterinarians never place skin stitches and prefer to close the incision with “buried” stitches that are internal. The spay incision is closed in several layers (the abdominal muscles, the tissue under the skin, and the skin itself may all be closed separately). 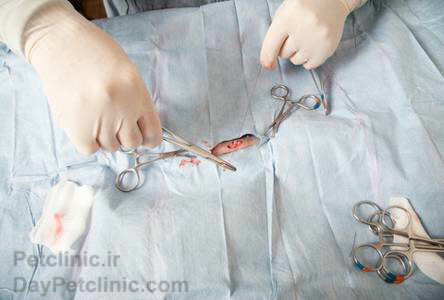 Skin stitches necessitate a return visit for a recheck, which is always a good idea after an abdominal surgery. 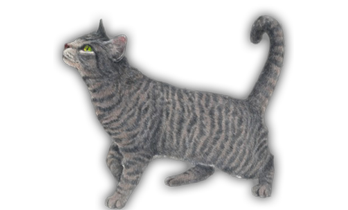 Obviously, it may be more convenient for the owner not to have to make a return trip and it may be simpler not to have to worry about the cat pulling out her skin stitches and causing herself injury. My hospital employs both methods although aggressive or feral cats almost always receive buried sutures so as to eliminate possible bite injury to the staff at suture removal. One of the advantages of keeping cats overnight after spaying is that they usually go bouncing out of the hospital as if nothing has happened. Some cats will not eat for the first day or so but if she does not seem back to normal by the day following discharge, we would like to know about it. Cats discharged on the same day as surgery may experience more soreness if not confined to a small area. Food and water are generally withheld until the next day or late that night and she should be kept quiet and not allowed outside. Cats should not be discharged while still groggy in any way from anesthesia as they are a danger to themselves and to their human handlers. Later in the recovery period, it is not unusual to notice swelling at the incision site. Cats often react this way to internal sutures and this kind of swelling is common and resolves spontaneously. Such swellings are firm and there is no fluid drainage or bleeding from the incision. They generally resolve in 3 to 4 weeks. Any fluid drainage from the incision is abnormal and if possible the cat should be rechecked by the veterinarian who performed the spay. 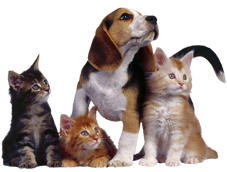 Spaying can be performed at any time during the course of pregnancy. Often, the owner is unaware that the cat is pregnant. If there is any question, make it clear to your veterinarian what your wishes are should your cat be found pregnant. 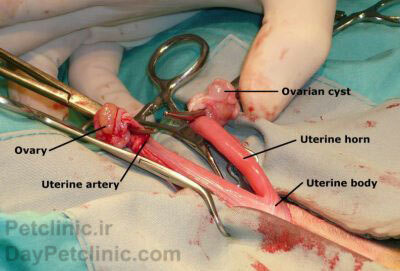 The incision can be closed and the pregnancy can proceed or the spay can proceed and the developing kittens will be removed along with the rest of the uterus. Due to extra work and surgery time, most veterinarians will charge an extra fee for spaying a pregnant animal. Some veterinarians will not knowingly spay a pregnant animal after a certain stage of pregnancy. At my hospital, we are commonly asked what to do about newly adopted stray cats thought to be pregnant. As we work with numerous rescue groups, we are keenly aware of the pet over-population problem. We encourage spaying of strays or newly adopted female cats regardless of pregnancy. There are simply too many kittens without homes as it is.